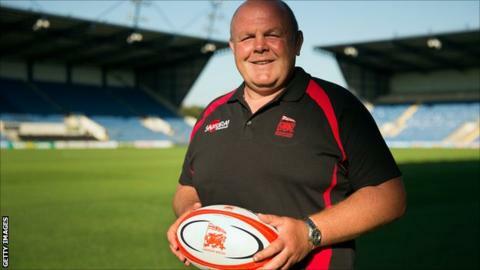 London Welsh head coach Justin Burnell is confident his side can overturn a seven-point deficit in the second leg of their Championship semi-final against Leeds Carnegie. Welsh were beaten 31-38 by Leeds at Headingley, but Burnell has backed his side to turn things around next Sunday. "You've got to be confident," the 46-year-old told BBC Radio Oxford. "It could be our last game of season so we have to go into that game with an appetite to win. It's all to play for." The winners will play either Bristol or Rotherham and Burnell believes his side will have to perform much better at the Kassam Stadium if they are to make the final. "If I'm honest we were not at our best and our discipline was disappointing and all credit to Leeds," he said. "If we score the first try then it is 0-0 on aggregate and that is what we need to do. "Of course we are disappointed. We've conceded 38 points, we need to work our where the mistakes were and rectify those errors and move forward."